Keeping your new Toyota Camry in top shape is easy thanks to ToyotaCare. Toyota offers complimentary maintenance plans which covers normal factory-scheduled maintenance for the first 2 years or 25,000 miles. You’ll also get 24-hour roadside assistance for the first 2 years, a service you can use anywhere in the continental U.S. So, whether the road takes you to Calhoun or you find yourself in L.A., you’re covered. Three Engine Options: Choose a 2.5L 4-cylinder, a 3.5L V6, or a gas/electric hybrid for power and efficiency your way. 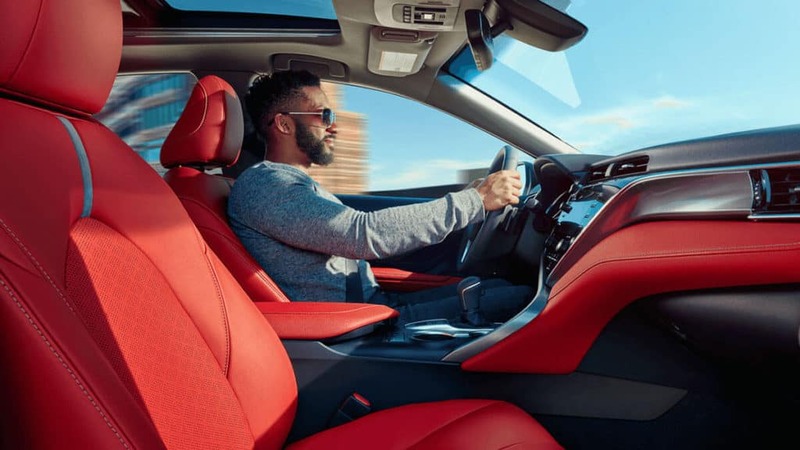 Interior Luxury: From dual-zone climate control to leather-trimmed heated seats and a sophisticated wood-trimmed interior, the Camry has all the luxury without the luxury price tag. 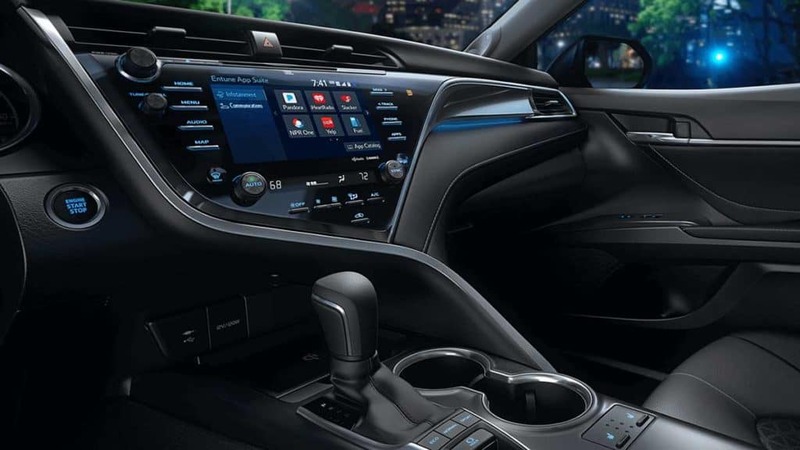 Advanced Tech: Drivers can connect a compatible smartphone for hands-free calling, add Alexa for voice command, back safer with the Bird’s Eye View camera, and so much more. It isn’t hard to see why more Cartersville drivers choose the Camry over competitors like the Nissan Altima. 5,000 Miles: Check the engine oil and filter, rotate tires, inspect wipers, interior lights, floor mats, check brakes, fill fluids, and check tire pressure. 15,000 Miles: 5,000-mile tasks, as well as inspect and replace engine and cabin filter, check exterior lights, inspect ball joints, cooling system inspection, inspect fuel lines, inspect steering system and components. 30,000 Miles: 5,000-mile tasks, as well as a complete inspection of the drive system and braking system. 60,000 Miles: 5,000-mile tasks, as well as check and change transmission fluid and inspect/replace all drive belts if needed. 100,000 Miles: All 5,000-mile tasks, as well as flush and replace engine coolant and perform a complete tune-up. Staying on a regular schedule will help your Toyota perform like new for years and ensure you’re never without reliable transportation. Toyota tires keep your Camry looking and driving like a real Toyota. The proper tires keep ride consistent, improve fuel efficiency, and enhance safety without expensive vehicle upgrades. 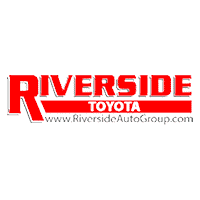 If your Toyota vehicle is ready for a new set, explore the options available through our Toyota Tire Center and make your trips to Cedartown hassle-free, contact Riverside Toyota today.